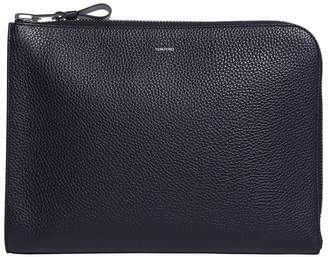 Overview Keep your affairs in order with the timeless refinement of this TOM FORD portfolio pouch. Italian-crafted from grained leather, its stamped logo is perfectly complemented by the gleaming gold-tone zip. H25cm x W34cm x D3.5cm approx.